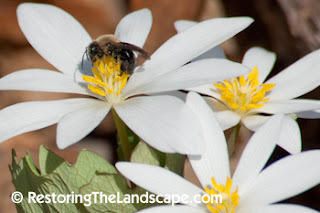 The Bloodroot (Sanguinaria canadensis) is just finishing flowering in the yard. 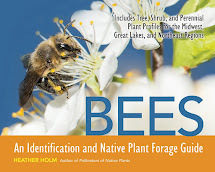 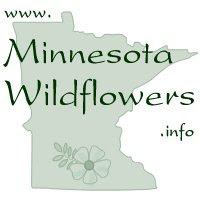 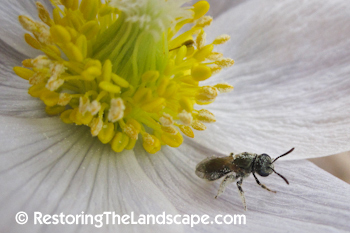 The large white flowers open during the mid-day sun attracting several bee species. 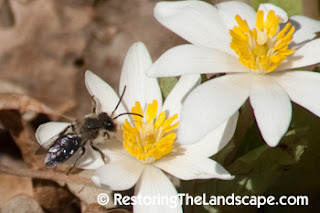 One of the larger bees, a type of Mining Bee (Andrena species) fly around in search of nectar but the Bloodroot plays a mean trick and does not provide any. 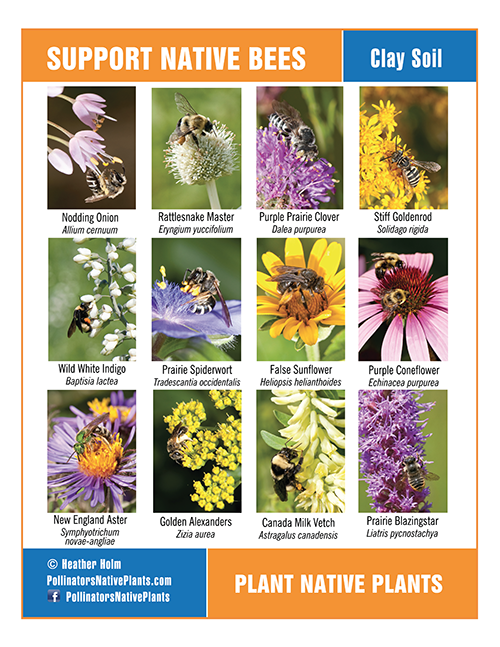 Some of the bees seem to know this but are still seduced at checking out the flowers from time to time, just to make sure. What great timing the Bloodroot has chosen to flower, when there's little else available for early emerging bees. 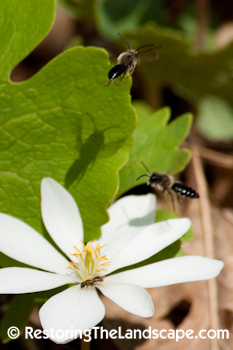 Bloodroot has the ability to self pollinate but probably much prefers some help in cross pollination from the bees. 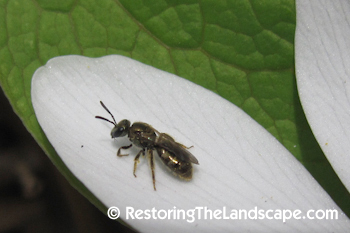 A smaller Sweat Bee (Lasioglossum Subgenus Dialictus) was also looking for nectar on the Bloodroot. The same small Sweat Bees found plenty of pollen on the Pasque Flowers.